[PDF] Nanotechnology: Understanding Small Systems, Third Edition (Mechanical and Aerospace Engineering Series) | Free eBooks Download - EBOOKEE! Description: An Accessible, Scientifically Rigorous Presentation That Helps Your Students Learn the Real Stuff Winner of a CHOICE Outstanding Academic Book Award 2011! "â€¦ takes the revolutionary concepts and techniques that have traditionally been fodder for graduate study and makes them accessible for all. â€¦ outstanding introduction to the broad field of nanotechnology provides a solid foundation for further study. â€¦ Highly recommended." â€”N.M. Fahrenkopf, University at Albany, CHOICE Magazine 2011 Give your students the thorough grounding they need in nanotechnology. 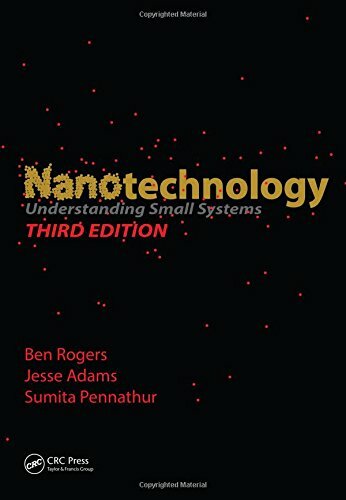 A rigorous yet accessible treatment of one of the worldâ€™s fastest growing fields, Nanotechnology: Understanding Small Systems, Third Edition provides an accessible introduction without sacrificing rigorous scientific details. This approach makes the subject matter accessible to students from a variety of disciplines. Building on the foundation set by the first two bestselling editions, this third edition maintains the features that made previous editions popular with students and professors alike. See Whatâ€™s New in the Third Edition: Updated coverage of the eight main facets of nanotechnology Expanded treatment of health/environmental ramifications of nanomaterials Comparison of macroscale systems to those at the nanoscale, showing how scale phenomena affects behavior New chapter on nanomedicine New problems, examples, and an exhaustive nanotech glossary Filled with real-world examples and original illustrations, the presentation makes the material fun and engaging. The systems-based approach gives students the tools to create systems with unique functions and characteristics. Fitting neatly between popular science books and high-level treatises, the book works from the ground up to provide a gateway into an exciting and rapidly evolving area of science. No comments for "[PDF] Nanotechnology: Understanding Small Systems, Third Edition (Mechanical and Aerospace Engineering Series)".